A perfect gift for many occasions such as Father's Day, Mother's Day, Valentine's Day, Birthday or a special anniversary or wedding gift. 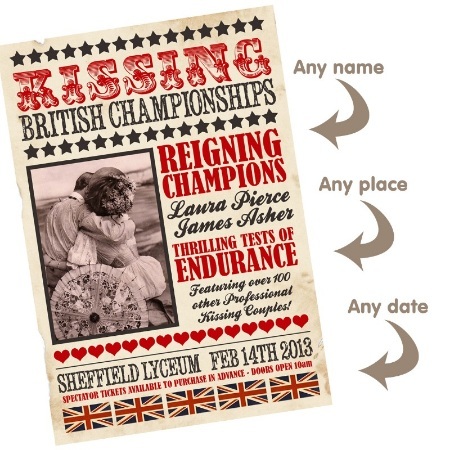 Each print can be personalised with your chosen name(s), any venue and any date. About your Print: Your artwork will be created to order and printed onto very high quality gloss finish paper stock. It will be posted with a backing board and smooth white finish bevel cut mount, and will be smartly presented sealed in a protective clear sleeve. Your print will be posted in a strong hard backed envelope and will require a signature on delivery.